Mags Harries’ exhibition of recent works, In Dialogue, is on view at the Boston Sculptors Gallery January 5- February 6, 2011. In Dialogue opens up a conversation with viewers with a series of sculptural chairs. The chair acts as a surrogate for the body to explore the act of dialogue and the relationships between people. 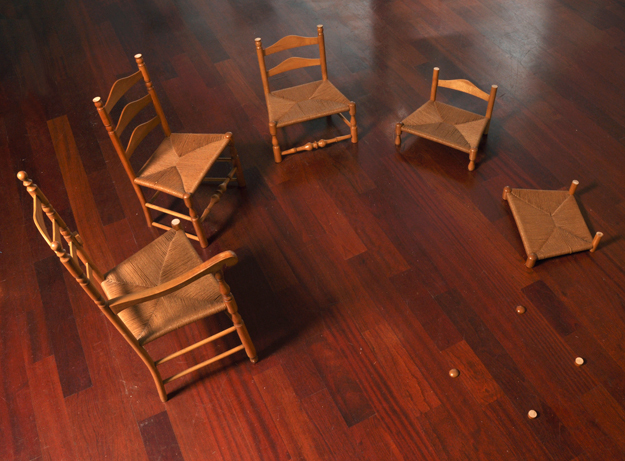 Several of the sets of chairs are functional, inviting viewers to sit and engage in their own dialogue.